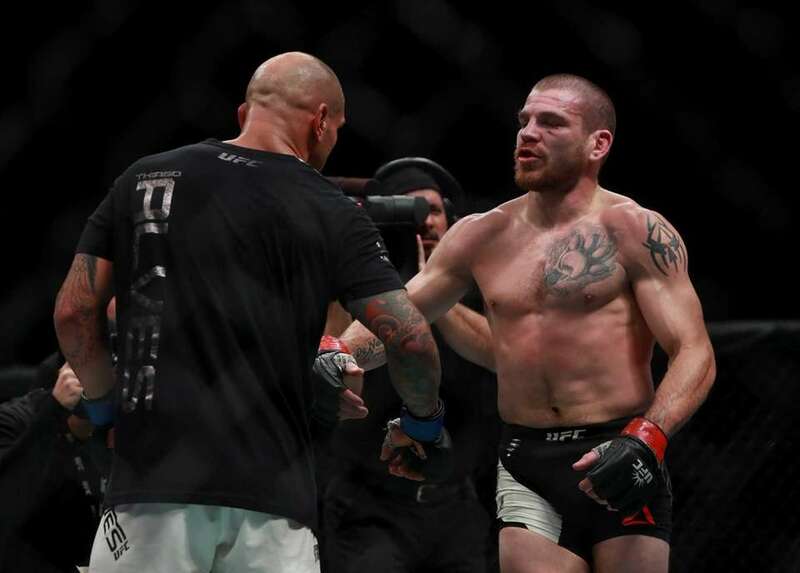 Jim Miller beat Thiago Alves, 30-27, 29-28, 30-27, in the early prelims at UFC 205 on Saturday at Madison Square Garden. Thiago Alves of Brazil (left) fights against Jim Miller of the United States in their lightweight bout during the UFC 205 event at Madison Square Garden on Nov. 12, 2016. 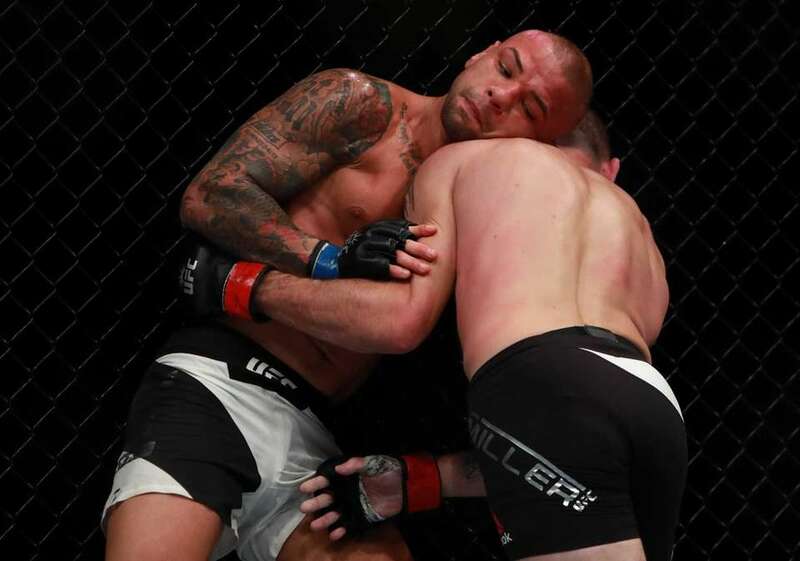 Thiago Alves, top, of Brazil fights against Jim Miller of the United States in their lightweight bout during the UFC 205 event at Madison Square Garden on Nov. 12, 2016. 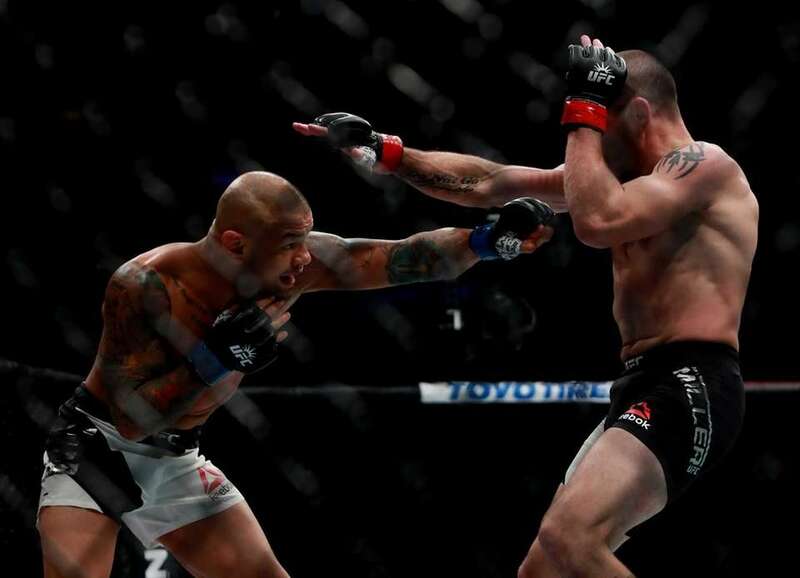 Thiago Alves, left, of Brazil fights against Jim Miller of the United States in their lightweight bout during the UFC 205 event at Madison Square Garden on Nov. 12, 2016. 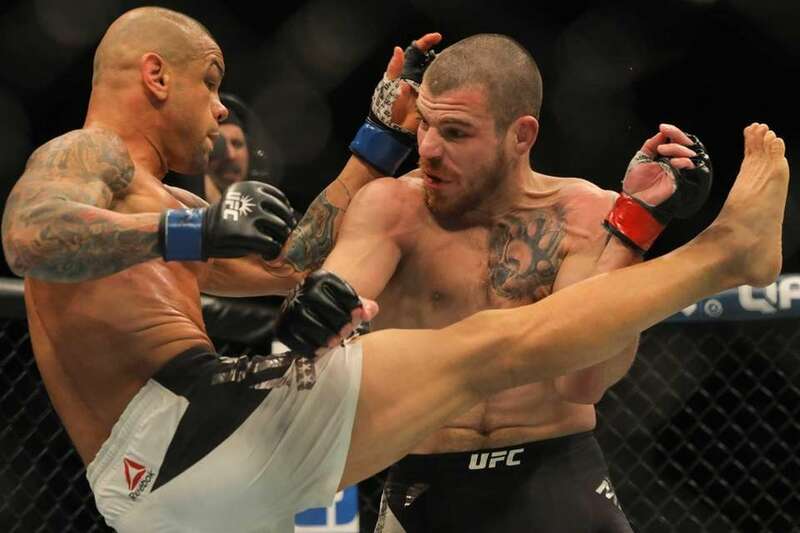 Thiago Alves, right, of Brazil fights against Jim Miller of the United States in their lightweight bout during the UFC 205 event at Madison Square Garden on Nov. 12, 2016. 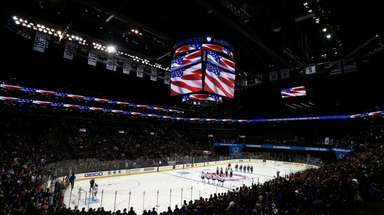 Jim Miller of the United States is awarded victory by unanimous decision over Thiago Alves of Brazil in their lightweight bout during the UFC 205 event at Madison Square Garden on Nov. 12, 2016. 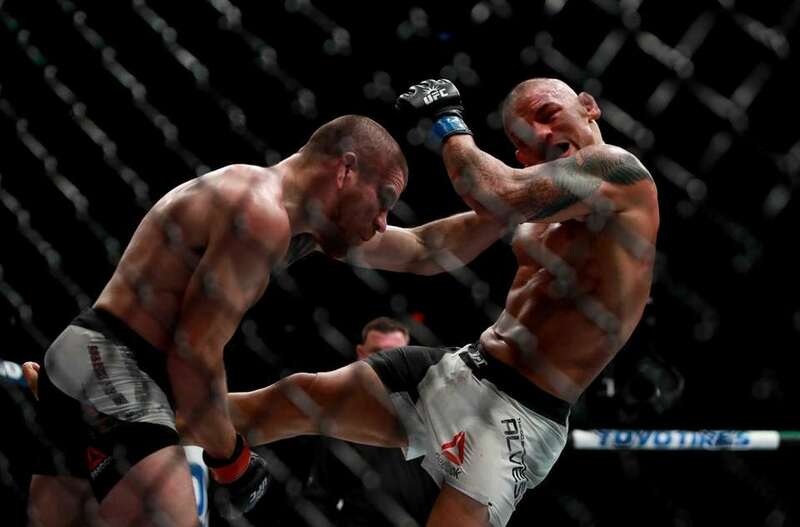 Thiago Alves, top, combats Jim Miller during a catchweight mixed martial arts bout at UFC 205, Saturday, Nov. 12, 2016, at Madison Square Garden. Catchweight Jim Miller defeated Thiago Alves by unanimous decision at Madison Square Garden on Nov. 12, 2016.